Here’s a simple vector floral greeting card to say hello in retro style. 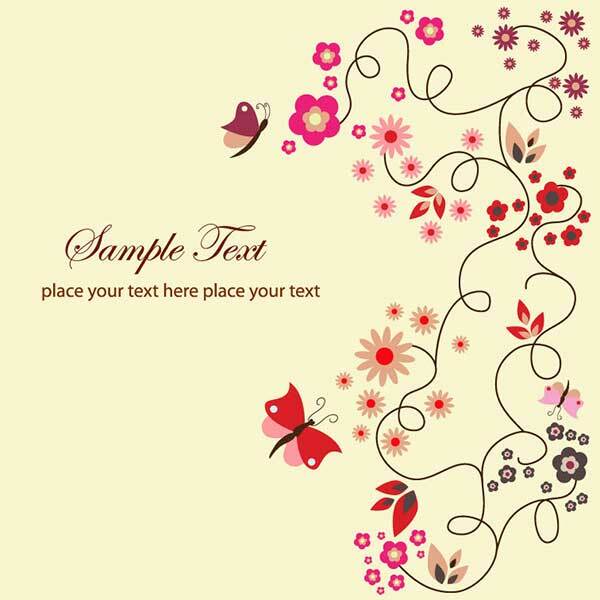 They are EPS files from webdesignhot and have swirly curly floral elements and small butterflies in the design. Add your own text.